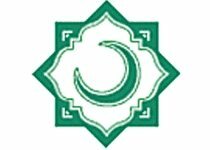 The 5th All-Russia Islamic Scholar Institutions Contest will take place in the residence of the Council of Muftis of Russia in Moscow on 30-31 May 2009. According to the management staff, students of maktabs or madrasahs representing whatsoever region of Russia are welcome to get involved in the contest. The competition, arranged among children from 8 up to 15 and the adults over 16, is aimed at the revelation of advanced knowledge of Koran, Islamic Law (Fiqh), History of Islam and the Hadeeth Studies. Let us remind that last year more than 150 participants from the Moscow Islamic University and the regional religious boards of Muslims and Islamic educational institutions of Moscow, Ivanovo, Nizhny Novgorod, Tver, Rostov, Tyumen, Stavropol, Tatarstan, Mordovia, Korelia, Dagestan and others Caucasus regions took part in the 4th All- Russia Islamic Scholar Institutions Contest.